This entry was posted on May 30, 2012 at 6:45 pm and is filed under Uncategorized. You can follow any responses to this entry through the RSS 2.0 feed. You can leave a response, or trackback from your own site. Awesome news that the pairing turned out! What was the alcohol % on that Carmenere? Man I hope it cools off this weekend cause now I won’t be able to stop thinking about making some chili. Great vid, Jeff! 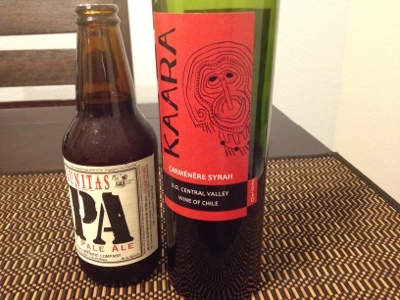 The Kaara was 13%… Not detectable. The wine does start to fall apart after about an hour in the glass, however.